Nimschu Iskudow is the first northern green multi-energy off-grid power plant. 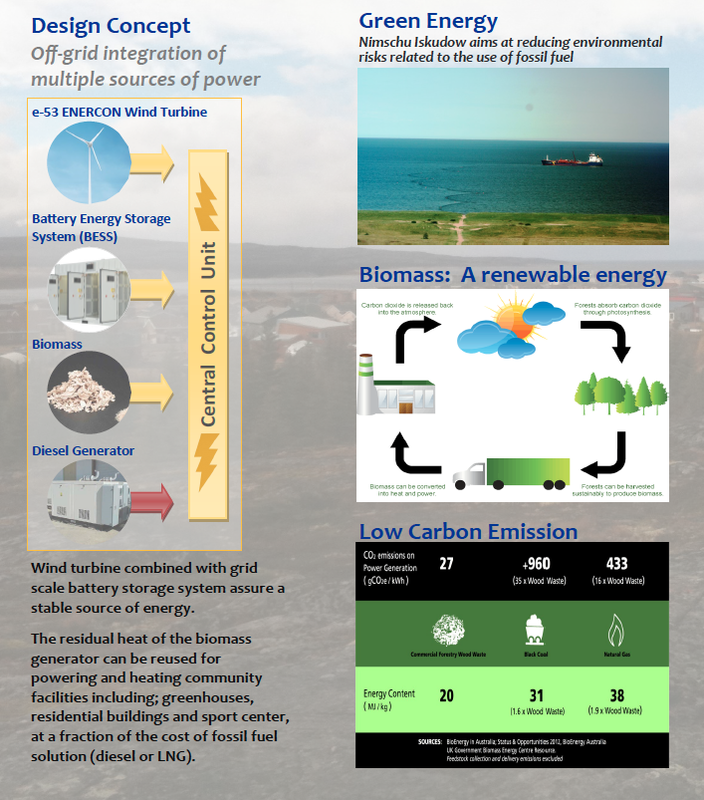 It’s integrating wind and biomass energy sources to substitute traditional diesel generator. Through the use of innovative control technology and battery system, various sources of renewable energy can be now integrated to assure the guaranteed power of off-grid communities. Copyright 2012 - 2014 Nimschu Iskudow Inc.